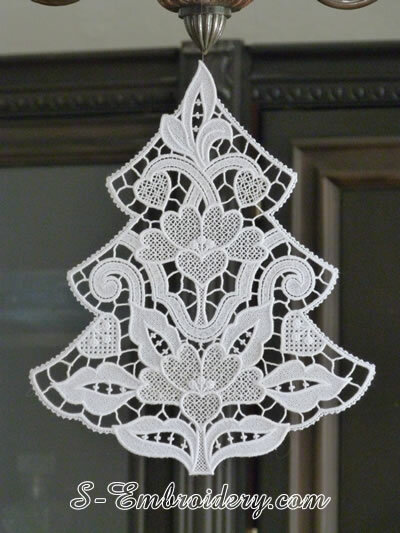 With this free standing lace Christmas tree machine embroidery design you will create a fine Christmas window decoration with a size of approximately 11.5 x 13.5 inches (29.3 x 34.3 cm). The design in split in 6 parts. 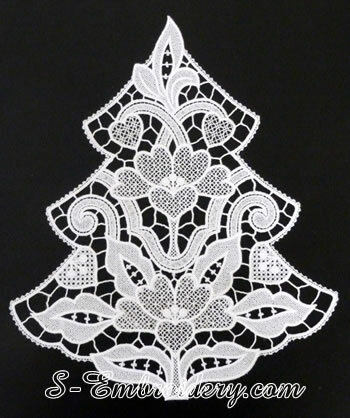 Each of the free standing lace embroideries will fit in 5x7 (130 x 180) hoops. 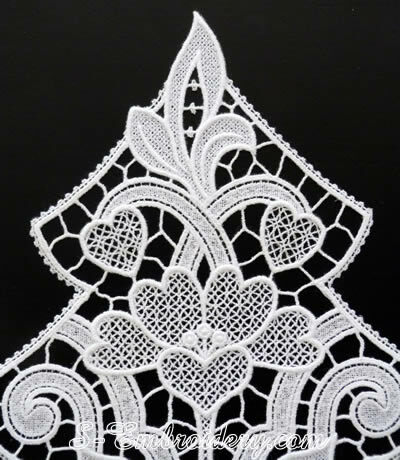 The largest part has a size of 4.95 x 6.90 inches (125.87 x 175.2 mm) and 30,034 stitches. The window decoration is created "in the hoop" . 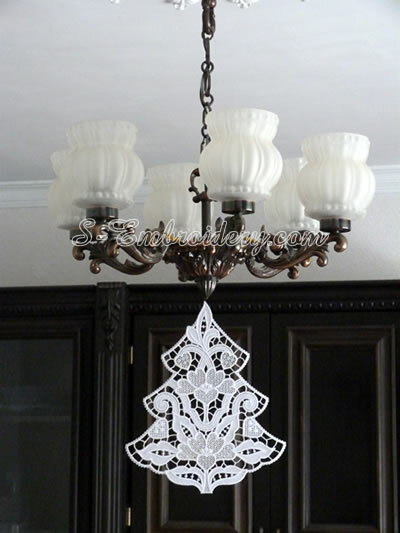 If you are new to this technique, you may get an idea of the procedures from our free tutorial for creating a free standing lace window decoration. You receive 6 machine embroidery files and 2 PDFs with design information and instructions for putting the Christmas window decoration together.